If you’d like to get straighter teeth without the long waiting times involved in most orthodontic options, May St Dental Centre has the solution for you. Our team is proud to offer Smilefast, a revolutionary treatment that is exclusively for adults who are after rapid results. Forget facing years of wearing metal braces or clear aligners that are slow to move teeth into place. Smilefast uses clear braces and advanced technology to align your smile in just 6-9 months of treatment. Thanks to reduced treatment times and fewer dental checkups necessary, it’s an affordable orthodontic option. The exclusively developed technology that Smilefast uses aligns teeth in a fast yet safe manner. Your dentist will show you the treatment outcomes before, during and afterwards so that you know exactly what to expect at each stage. With clear braces, your orthodontics will be barely noticeable. Most people won’t know you’re straightening your teeth! Will the braces discolour over time? The braces do not discolour. The small elastics places around each bracket that hold the wires in position may when specific foods are eaten, but the elastics are replaced at each of your progress checks, so there is no need for concern. How often do I need to return for visits? We’ll see you just once a month to make sure that the desired changes are taking place, replace your elastics and answer any questions you may have. Some patients may experience a minor form of discomfort after the brackets have been placed. It won’t interfere with your daily activities, though, and will subside within just a couple of days. 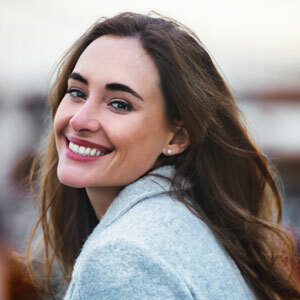 If you’ve always wanted a more aligned smile but the cost, treatment time and appearance traditional braces have put you off, Smilefast East Fremantle may be what you’re looking for! Contact us today to learn more. We accept health funds and offer DentiCare payment plans.